Australia, thank goodness, is a country without political heroes – we’re skeptical about all of ’em. Which means the film you posit couldn’t exist. I think you’ve misread me; the film I posit is still about an American political hero, not an Australian one. I want to see someone without a patriotic interest make one of these films about American heroes, because I think there are some great stories there and we’re not seeing them because the Americans can’t get the distance from their history. 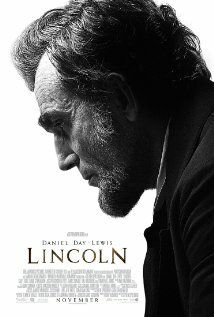 An Australian-made film about Abraham Lincoln would be a worthwhile bet I think. Though I take issue with your other presumption also. Henry Parkes, though his issues were of less consequence, is an unquestioned hero in Australian history. I think a little revisionist drama around him would be worthwhile (oh, how convenient, here’s one I prepared earlier: https://chilver.net.au/scripts/ (actually, my play The Ballad of Hobart Jones is not really about Henry Parkes, but the research I did to include him as a character revealed some interesting heroic quirks that don’t make it into the history books)). The annoying this is how they had the opportunity right in their grasp, and didn’t quite grab it. Mrs Lincoln (I can’t even remember her name) was the perfect foil! And they relegated her almost to irrelevance!